Up to what age will my child fit into the JIVE² Platinum? Is the JIVE² Platinum Pram suitable from birth/ for newborns? What is the main difference between the JIVE² Platinum and the JIVE²? What is the weight limit of the JIVE² Platinum basket? Are the JIVE² bassinet and seat unit separate items? The foot rest is in the upward position when I unfold the JIVE² Platinum with the seat on, is this normal? What are the accessories available for my JIVE² Platinum? 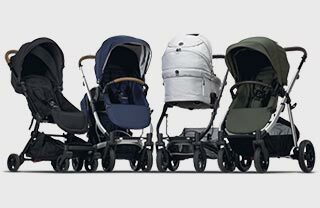 What are the wheels made of on the JIVE² Platinum prams? What is the weight limit of the JIVE² Platinum Bassinet? What is the weight limit of the JIVE² Platinum main seat? What are the JIVE² Platinum dimensions? How much does the JIVE² Platinum weigh?